Soumen, Mandarin Oranges, Strawberries? We heard from the locals! Here are the ways to enjoy Ehime food! Speaking of food in Ehime, we usually think of mandarin orange. But isn't there anything else we could eat here? The locals in Ehime prefecture took us to various places in response to this question. Among them, here are three of FUN! 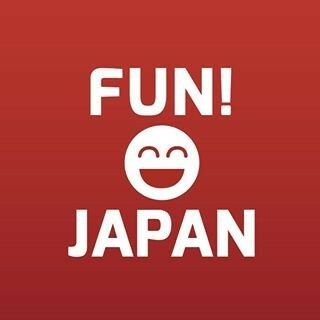 JAPAN Team's recommendation. 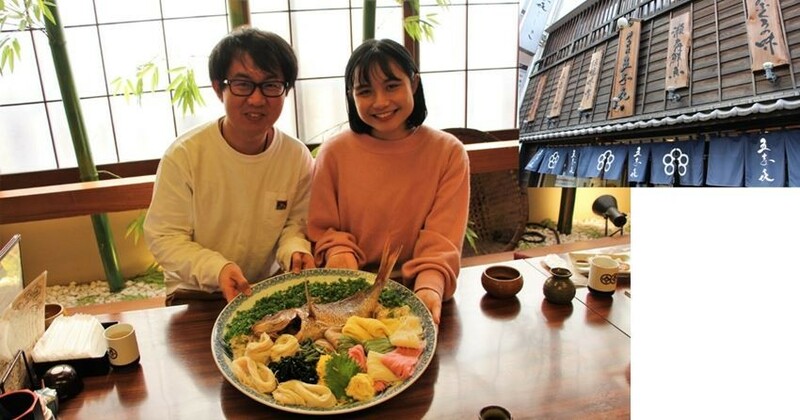 Since we going out of our way to visit Ehime prefecture, we would like to have a special culinary journey tailored to our tastes! We chose the places to visit with that in mind. 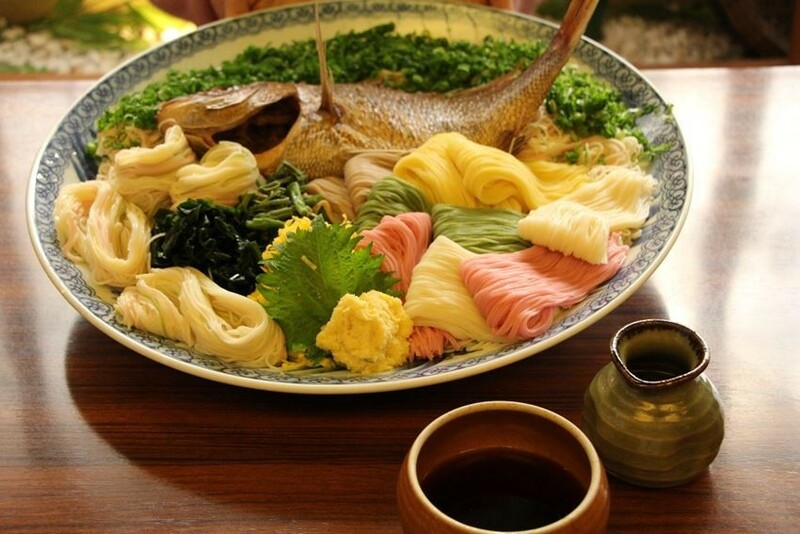 The five-coloured soumen is a noodle with a strong body and smooth texture. It is coloured without any artificial colouring, the fresh colours a special characteristic of the noodle. It isn’t mentioned in any guidebooks. The noodles were developed in 1722 and it instantly became a hit in Japan. Alongside the plum (pink), matcha (freen), egg (yellow), buckwheat (grey) colored noodles, a grilled sea bream is served together. The shop which we visited was Goshiki, and the sea bream soumen was 1,680 yen per person. The one shown in the photo is for 7 people, so it was very lavish. Break the fish into smaller pieces, wind the noodle around the fish and dip into the juice before you eat it. Address: 3-5-4 Sambancho, Matsuyama 790-0003, Ehime Prefecture. Access: A 6 minute walk from the Okaido Station (Jonan Line). But of course in Ehime, even mandarin oranges which you can buy in shops are delicious. However, under the blue skies, surrounded by the scent of citrus and green leaves, the fruits which are plucked by your own hands tastes even more delicious. As such, we went to pick mandarin oranges at Tomoura Gardening. It is a plantation that made good use of the steep mountain slope near the sea. 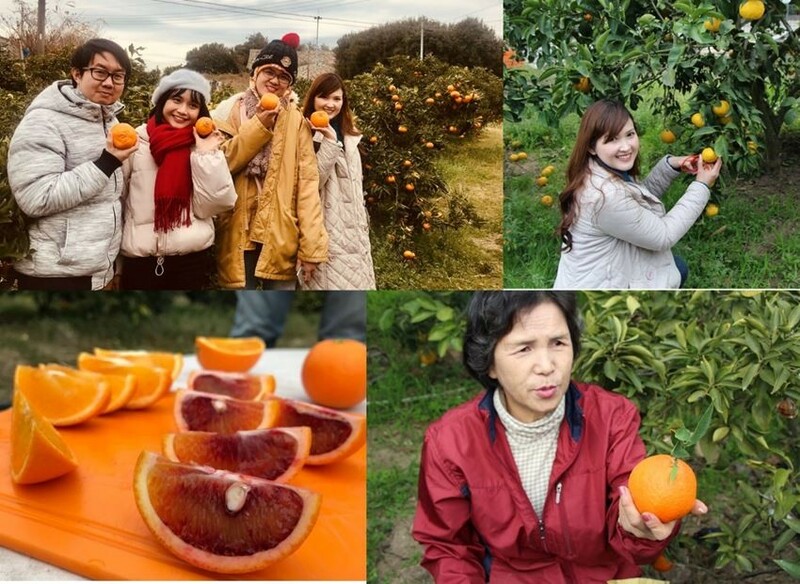 From November to December, "Harehime (Spring Princess)" in December, "Kanpei" in January and "Hime Koharu" in February, and "Deco Pon" and "Setoka" in February, so that you can enjoy different types of mandarins each month throughout the year. When we visited in January, we were able to try more than 5 kinds of mandarin oranges. Access: 10 minutes by car (by taxi or car rental) by taking the city road towards Tomoura, Oshima Kita Interchange, Route 317. In Ōmishima off the Seto Inland Sea is a greenhouse cultivated as a strawberry garden. These strawberries can be eaten without washing it. In most of the strawberry gardens in Japan, the strawberry fields spread under your feet, and you cannot pick it if you do not bend. With the introduction of Dutch-style aerial cultivation, the strawberries are at the height of the waist of an adult, so it is extremely easy to pick them. Are the big strawberries delicious? Or is the red strawberry delicious? 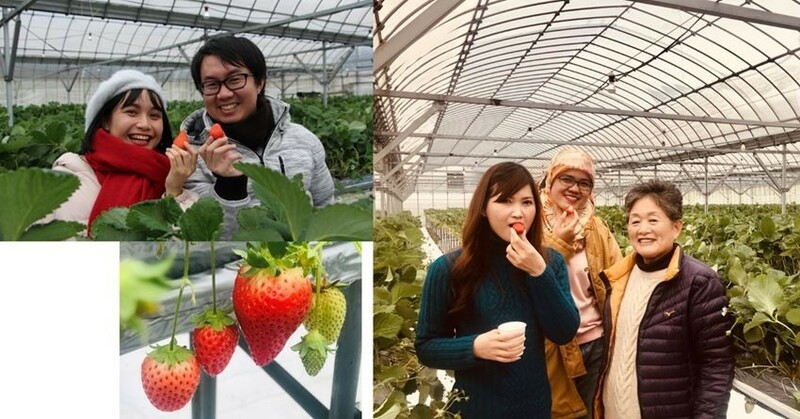 The strawberry garden's gentle woman, Inoue-san will tell you which is the best, so come here to get tips and tricks to picking the best strawberry and try eating lots of Ehime's strawberry! Address: 379 Kamiuracho Amazaki, Imabari, Ehime Prefecture 794-1403, Japan. Access: From the Setouchi bus "Ōmishima bus stop" it is 10 minutes on foot.